Whether it be rail, automobile, air or sea transportation, Keystone Compliance has the knowledge and capabilities to address the various regulatory compliance test requirements that arise. Our years of transportation testing experience allow us to not just provide testing, but also provide value engineering. When problems arise, manufacturers lean on our staff to identify the sources of the issues and determine and implement potential solutions. Our rail transportation experience includes both train side and wayside equipment from both an EMC and environmental testing perspective. Our scope of accreditation includes most commercial and military specs and transportation specific specs including AREMA Part 11.5.1. Our ingress protection capabilities include wind and rain, immersion, drip and dust to ensure that the enclosures on equipment placed outdoors are properly sealed. Our large EMC chambers that include oversized doors, 8,000 pound capacity turntables and full exhaust systems allow us to test entire automobiles. Our environmental capabilities cover the gambit of vibration, temperature, solar radiation, ingress protection and several other automobile-related test requirements. Having the A2LA accreditation provides manufacturers with the ability to test their devices at Keystone but yet have the results recognized in over 50 world economies. Keystone Compliance’s air transportation scope ranges from EMC testing to indirect lightning and shock pulse simulation. Custom waveforms are created as needed, and our EMC testing capabilities exceed those of most test labs. Environmental capabilities include vibration, altitude, solar radiation, thermal shock, temperature and humidity. 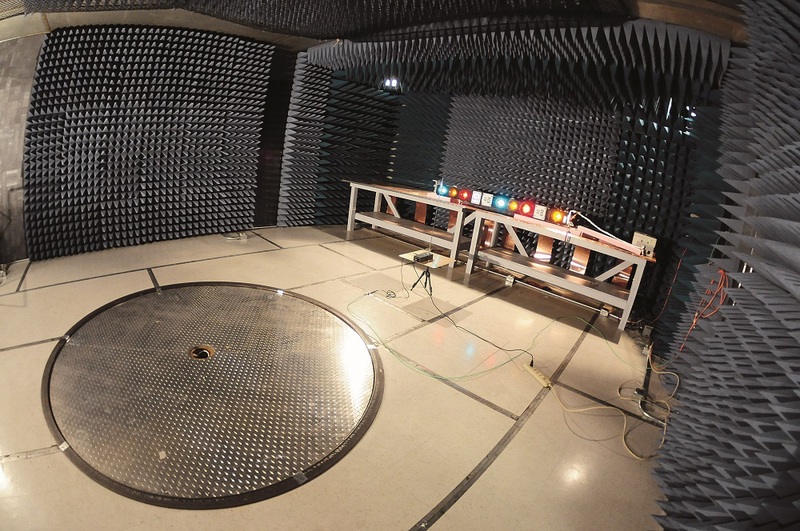 Having oversized doors and large EMC and temperature humidity chambers permits the testing of large devices. Our salt-fog chamber measures 8’ by 4’ by 4’ and can be customized to meet specific salt concentration, temperature and humidity conditions. Our ingress protection scope covers everything from drips to water jets and full immersion. Shipboard equipment can also be tested to EMC specifications following any preconditioning that may be required. Keystone Compliance assists Transportation equipment manufacturers with EMC and environmental compliance. Please contact us for more information on how Keystone Compliance can assist you with identifying and fulfilling your needs.